The Tempest 500 enjoys smart colourways in an inflatable tunnel design with three air tubes sleeping five in twin inners with an adjustable divider and D-doors. 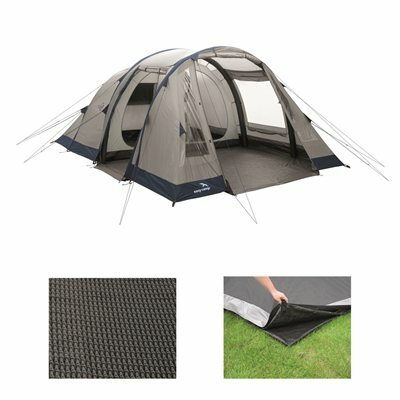 It's ideal for couples and young families seeking a reliable, versatile tent offering exceptional value for money. A side door and a large front door allow flexible access whislt large curtained windows , a sewn-in groundsheet, generous head room in the ample living area and angled bedroom roof ensure camper's practical comfort.